The manufacturer touts the Snowball USB Microphone as a mic that is not just easy to use, but sounds as good right on your desktop as it does in a professional recording studio. And we tend to agree. Whether you want to record and sing at the kitchen table or grab the band and hit the studio, this little Snowball can capture the detail that has never been heard before in a USB recording microphone. It has a crisp and clean sound thats as close as your going to get this side of a professional studio for the money. The value is un-matched. The build quality is very, very solid. It comes with a nice little tripod stand that is included in the box along with a nice long USB cable. The tripod has 3 retractable legs that you can adjust for your needs. You can take the microphone off the tripod if you desire. It’s just very easy to use! There is no software that needs to be installed. You just plug it in and it is ready to go! You’ll notice that once it’s plugged in and it’s receiving power, that the light will turn on on front. You’re in business. On the back of the microphone you’ll see the three different settings that you can choose from. The Snowball is a condenser microphone. It has a frequency response of 40-18kHz a sample world rate of 44.1 Khz/16 bit and it’s polar patterns can be adjusted to be either Omni-directional or Cardioid. It is a direct plug n’ play mic that connects to either a PC or Mac. It can handle everything from the loudest garage band to the softest vocals. So anything you throw at it the Snowball can take it and make it sound magical. If you’re really portable you can use the Snowball to record on your Ipad. Using either the USB-30 pin adapter, or Lightning to USB camera adapter. So when inspiration strikes, or if you’re out just practicing by yourself, you can plug the Snowball into your Ipad fire up Garageband (or any recording app) and get that studio quality on the go. It makes the perfect USB microphone for singing at home, wherever that is at the time! It’s available in several stylish colors. You can also add a pop-filter as well to take care of your poppin’ ‘P’s when you sing. With all the different settings and just “plug-in-and-go” features. 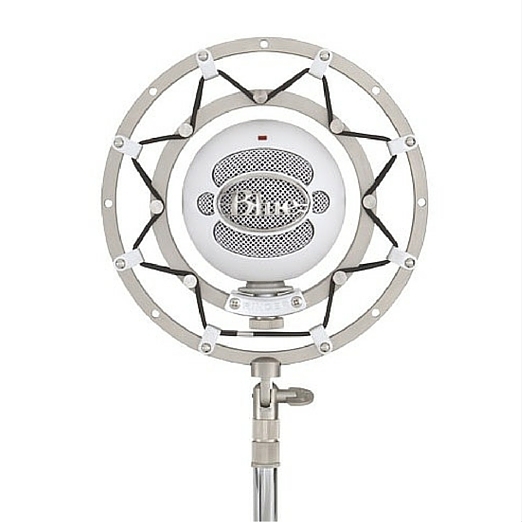 The snowball is a no-brainer when it comes to an entry level microphone for singing. Setting 1 is the Cardioid option. It is used mainly for podcasts, voiceovers, singing and vocals. It’s focus is mainly on capturing anything type of sound that you are projecting directly at the microphone. Setting 2 is also a Cardioid option with a twist! This has a setting on it to help capture louder sounds without losing quality. It adds a -10 dB pad to the signal. It’s good for recording something loud like instruments or loud music. Setting 3 is the omni-directional mode. This is when you want to capture sounds equally from all directions. If you want to pick up background or ambient noises. If you want to record several voices singing into the microphone from all around it. One point to be made though is with the Snowball you have to get in close to record your voice. Usually we leave our volume all the way up and adjust around the mic based upon if we’re singing or speaking. This isn’t a microphone that you’ll be standing 2 feet away from and belting out tunes. You’ll have to figure out your own little “sweet-spot” when it comes to your unique voice. Another accessory is Blue Microphones Ringer Universal Shockmount. Not that you’re actually going to have snowball fight or throw a fastball with it. But the shockmount makes it so that the Snowball actually “floats” and doesn’t come into contact with any nearby surface. It’s perfect to prevent any type of hits or vibrations on the mics stand or base. 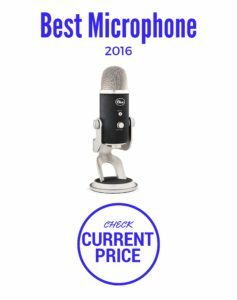 With over 2400 Amazon reviews the Snowball USB Microphone is a winner if your goal is to be singing at home. 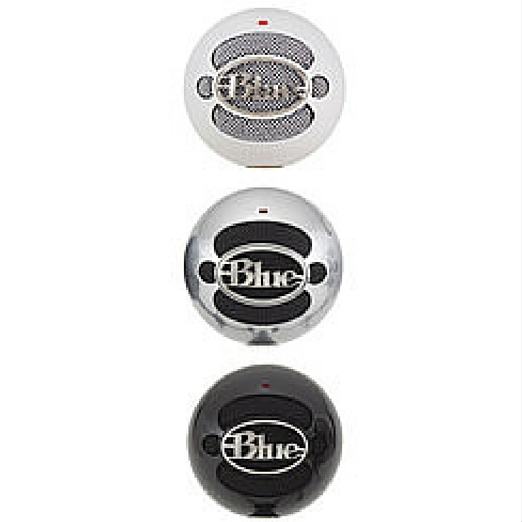 Blue Microphones Snowball family also includes its “little brother”, The Snowball iCE Condenser Microphone. It offers a stripped down version of the Snowball USB in that it doesn’t have all of the recording patterns and is more or less just fixed to one setting. It also only has one capsule instead of two. If you’re stepping up your game to start recording or singing at home the value in this powerful entry-level microphone will be music to your ears. UPDATE: Blue often has a special Snowball package complete with a pair of headphones and pop filter! So be sure to check out the latest on Amazon to see if you can snag a deal.